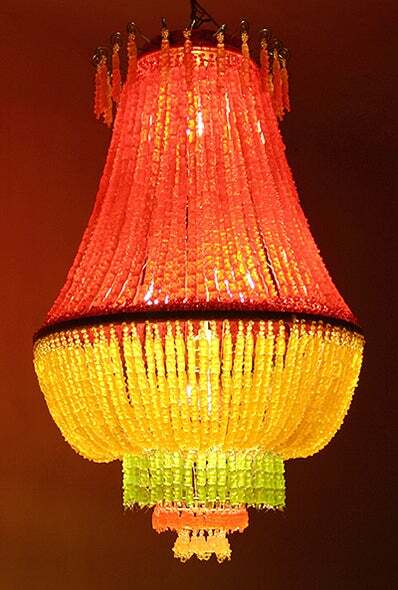 Part of an entire series of gummy bear sculptures by YaYa Chou, this chandelier looks both tasty and retro-chic. But we can't help but wonder how long it will hold up. It seems like only a matter of time before it's either devoured in a nostalgic munchie fit or melted by the light bulbs into a swirling, sticky rainbow of goop. Here's the real question, though: "Is she using Haribo, the one and only true brand of gummy bears?" Scope the close-up after the jump to check.